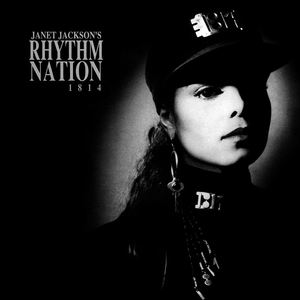 Continuing the spirit of top ten albums list started by Jon, Rhythm Nation 1814 is one of my fave albums. The original idea was to list the top ten albums I like, with no compilations or Best of... albums. Bummer, since most of my albums are Best of... and compilation albums. Let's be real, not all songs on an album are going to be great. Some are just fillers. Rhythm Nation 1814 gets an honorable mention, because it is a great album, one that immortalized Janet Jackson as an icon. True, I don't like all the songs on it, but there are some amazing songs there. Among my faves is Love Will Never Do (Without You). The song is upbeat, happy, and charming. It reminds me of my first crush. Absolutely delightful! I think the video showed Janet most beautifully: Simply enchanting, free, and alluring. And then there's the sad and haunting Come Back To Me, which showed Janet Jackson's softer side. But it was definitely the dance songs that shaped my childhood. When I was just a preteen, my two brothers and I, with some of our neighborhood friends, formed a break dancing crew. We were inspired by the break dancing movies of the day. Mind you, we were just rural, remote coastal kids out in the boonies. The tv only had three channels (til a hurricane knocked out one of the channels). Any music videos we watched, we got from VHS tapes that our relatives in the far away big cities had recorded off their tv using the VCR. We heard the songs on the radio before we saw the music videos. The dance songs from Rhythm Nation were great. But the music videos we saw later were awesome! We practically wore out the VHS tapes, pausing, rewinding, and fast forwarding til we got the dance moves down. We mostly practiced at our house, because we had the space to hold a large crowd. Once, we had to stop practice because we had to round up the escaped piglets. We left the pen open in our rush to get to practice. Those piglets were fast and feisty! Our friends that it hilarious when some of the piglets we caught peed on us as we carried them back to the pen. Filthy and vengeful little piggies! Thankfully, we were much more diligent after that. We had more time to focus on our act. The dance moves from the videos served as a base on which we built and invented new dance moves. We were fired up to created new routines. We were just kids having fun. We had no clue what the real world was like. All we knew was that we were having a great time creating our routines and dancing late at night, after we snuck out of the house, to jam at our spot to the late night FM radio that played the latest dance hits. When we got older, we made mixed tapes of songs to play on a portable stereo we used to practice our routines and listen to good music. Janet Jackson's Control album had given us great songs and inspired us. That first year, we won local talent shows with her songs. The biggest one was at the end of the summer, with actual prize money, $100. We won by using her hit, The Pleasure Principle. There were 8 of us, so it came down to $12.50 a piece. Not bad for a bunch of amateurs! We were just happy to win first place. Until then, the only people who supported us were our families and friends. We were the youngest group competing. And there were older kids and older competitors that looked down on us. We were unknown and didn't have any flashy costumes. But we shut them down after our performance! The few acts that came after couldn't excite the crowd like we did. After our performance, the show just became boring! Even after we won, we got a few snide remarks from some of the other competitors. Especially rude were the junior high schoolers, who won last year. This time, they were a far second place to us on top. They thought they were the better dance team. They weren't. They had too many pauses and were a little disorganized. And they started rumors that the only reason we won was because we were related to the judges. Total lie! We didn't know any of the judges, and we certainly were not related to any of them. Those losers were just vicious bullies on the talent show circuit. Our moves were more innovative and daring. Plus, we had tumblers and spinners and sliders in our act! We worked hard to develop our talent and it showed. Hell, we used the chair trick from The Pleasure Principle video! Which, if you recall from the last post, got my older brother and I a spanking, for doing such a dangerous stunt and damaging the dining chairs. Mom was furious! Totally worth it! Those two chairs still have the dents and scratches my brother and I put in them. When we last gathered at home for Mom's last days, my two brothers and I reminisced about those chairs. The grandkids were sad that their grandmother was passing away soon. So we did what we could to cheer them up, telling them stories of our childhood with Mom. My youngest brother enjoyed telling the kids the story of how me and my older brother got a serious spanking from Mom, when she caught us practicing dangerous dance moves on the chairs. We learned our lesson. For the talent show, we used some old orange hard plastic school chairs the school had thrown out in favor of new blue ones. When the kids asked me and my older brother to do the chair move, my baby brother just laughed out loud and told the kids, "They're too heavy now to do the chair trick! They'll break the chairs! The chairs can hardly hold their big butts!" The kids thought it funny and laughed out loud, too. Mind you, he was exaggerating. We're not fat. But I will concede that we are no longer short nor skinny like the little kids we used to be. We're definitely bigger and taller and, yes, a hundred pounds heavier. But we are, for sure, not fat. Anyway, back to that first talent show, we ignored the haters. We were just ecstatic we won. And we didn't realize how big we had become until we were asked to perform at the Halloween Dance, sponsored by the town. They paid us $100! The town council had seen our act and thought we were great. We were thrilled to have our first paying gig! Naturally, we did Michael Jackson's Thriller, because it's the epitome of Halloween classics, and it's awesome! And we paired it with Janet Jackson's Escapade, because we loved the festive vibe. Everyone at the Halloween event, which had a bigger crowd than the talent show, cheered for us and gave us a long applause after we were done. We had given a great show and started the party off with a bang! That Halloween Dance job led to us being asked to take part in the Harvest Festival, three weeks later, by the county commission. Another paid gig! The county commissioners liked what they saw, and they thought we could be one of the great acts performing at the festival. We decided to create new routines in three weeks. Daring but also smart. Because the opening act for the Harvest Festival were those mean junior high schoolers, and they had totally ripped off our Halloween act! Seriously! They copied the Thriller dance routine and then imitated our Escapade moves! Terribly, I might add! They were still disorganized and lacked our passion. When we make a move, we hit hard and really get into it. These mean guys and girls were playing it chill, not going all the way with the dance moves. They thought they looked cool, but instead, they looked sloppy! Lazy! The audience was not impressed as evidenced by the scattered applause. There were people in the crowd asking why this group was doing a terrible imitation of the routines of another group from the Halloween Dance. We were wondering the same thing, too. It's like they thought we would do the same routines, so they did it first to sabotage us. Except, they sabotaged themselves! They were gawd awful! It was not a good way to start the Harvest Festival. The commissioners did not look happy. But thankfully, we were the second act, and we started the party right. Three weeks was just enough time to create new routines. And by coincidence, the first song we danced to was Janet Jackson's Alright. The video was awesome! It had Cab Calloway and Cyd Charisse. And it was loaded with amazing dance moves we adapted. We blatantly stole the handkerchief dance. Our Alright act became our way of convincing the audience that it was going to be all right. They were going to have a good time. And they believed us by cheering along and dancing with us. And it became our way of telling those rip off losers that we didn't care that they stole our routines. It's all right, we are a lot more talented than them. And we danced harder and livelier, just to make them see that we weren't afraid of them, that we were so much better than them! Come at us and you're going to get knocked out! And we accentuated that point by throwing down with Black Cat! It is one of my fave rock songs ever! Whenever I need to pump myself up to take on a challenge, I put this song on blast! We rocked the crowd with Black Cat. They were dancing and singing and jamming with us. 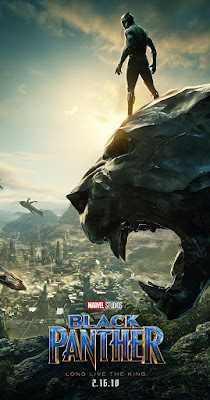 Black Cat should've been the theme song to Marvel's Black Panther. After our performance, the commissioners were very happy we got the crowd fired up. We were rewarded with extra tickets to the festival to share with our family and friends. As for those horrible junior high schoolers, that was their last public performance. They imploded after that. And when we saw any of them out in public, we pretended that we didn't know them. That county gig got us a special invite to the regional talent show. We were accepted to perform at the Flag Day Festival, no audition nor screening required! That was unheard of! We couldn't believe it nor could our families, right up until the week before the celebration. We went to see the stage and learn when we would go on. The Flag Day Festival was a week long celebration. And for several nights, there would be different talent contests for singing, comedy, traditional arts, and finally, our category, dancing. We were awed at the amount of people it took to run the festival. We were a bit nervous about the competition. Right off the bat, we knew the top three acts: Two college groups and a professional ballet troupe! One college team was a modern dance group. The other, a jazz group. And once again, we were the youngest group there, not a teen amongst us! But we were also more excited to be at this level competing. We spent months working on our routines. And we felt ready. By luck, we drew going last. It was agonizing watching all the other groups put on great performances. The ballet troupe was exquisite, doing a number in swan costumes. And the college jazz dancers were spectacular to watch. But the modern dance college team was stunning! They were incredible, with their choice of music and telling their story with their dances and shiny costumes. We were amazed. We only pooled our resources to buy black jeans, black t-shirts, black shoes, black socks, and black bandanas with white markings as our uniforms. Janet looked good and powerful in black. We thought we did, too. We didn't have any shiny costumes nor did we have the maturity of the other acts. But what we did have was passion, precision, and power. We learned from watching Janet Jackson. And we took those lessons and created our own movements. As the last group, we were nervous. The crowd was still talking about that modern dance group that performed before us. And we definitely lacked the color and pageantry of the other popular groups. But that's okay, because we knew we worked hard to create our act, and our show was a masterpiece. We started with Janet Jackson's Miss You Much. And we killed it with our big moves and exciting performance. We came out swinging, hitting hard and never let up. And we practiced long and hard to get it right. And the applause was confirmation that we were doing it right. But it was our Rhythm Nation performance that got the audience on their feet, dancing and cheering. Rhythm Nation is one of my favorite Janet Jackson songs and music videos ever! It is a magnificent and spectacular work of art! Epic and Visionary! Rhythm Nation inspired us to craft a spellbinding and stunning routine. We worked hard to make our movements fluid, exact, in sync, and explosive. And that's hard to do on a veranda with no large mirrors to gage our movements. We didn't have the large numbers of the other groups. It was just the 8 of us on a big stage, and we had to make our movements uniform, precise, and larger than life to captivate the audience. And when we were done dancing, we could hardly hear the audience roar! We were gasping for air and the sound of our racing hearts was thundering in our ears. But we could see them on their feet, smiling, laughing, hooting and cheering, and we knew we put on an amazing show. And in the end, it was astounding enough to win us first place, with the grand prize of $1000! That's $125 a piece! It was the most money we had ever won, let alone held in our hands. What was more incredible was that the crowd agreed with the decision and roared again when we were announced as winners. It was an unbelievably awesome feeling! All our hard work and efforts had paid off. The other competitors were really nice (or really good at hiding their displeasure) and congratulated us. Either way, we were riding a wave of success that would let us dominate the talent show and entertainment circuit for a few years. And we owed it all to Janet Jackson for inspiring us to do something fun, challenging, and awesome. To this day, when I want to throw a party or just dance, I play my fave songs from Rhythm Nation and have a good time. Still haven't done the chair trick though. My vinyl floors and carpet are too slippery for the chairs. And I fear I may break not just the chair, but an important body part. I'll wait til I have access to wooden floors (and a soft landing) before doing that chair trick again. I was significantly two feet shorter and a hundred pounds lighter when I last did that move years ago. I'm hoping it's like riding a bike. You never forget. Though, there's probably going to be some scrapes from trying it again after so many years. Steady on there!! Don't injure yourself! I'm very good at tripping over things, with or without music. Scarlet, It's a good thing I have a high pain tolerance and tough bones--necessary for a hard headed fool like me, who thinks he's still an agile, small kid! Thank you, MJ, Merry Christmas to you, too! I am following The Mistress around the blogosphere! Thank you, Scarlet, Happy Christmas to you and yours too! And I'm back and see you have not returned. I hope your Christmas yuletide was pleasant, and your fine. A Happy New Year to you too. Thank you and Welcome Back, Maddie!!! Been busy (and still busy!) for the Holidays. Still haven't finished sending out Xmas gifts, but the kids are used to getting their presents late from me. Some of them call it Second Xmas! I'll be free soon for a nice long weekend off. Then I can catch up with everyone.